Arrivals and departures are permitted on Wednesdays, Saturdays and Sundays. There are 14 apartments, including one specifically designed with disabled access. One bedroomed apartments have a twin bedroom plus cot (2 adults + Infant). Three bedroomed apartments have 3 double/twin bedrooms, the main bedroomed with ensuite shower room. These can accommodate 6 adults, 4 adults & 2 children or 2 adults & 4 children plus an infant. The disabled unit sleeps 5 people with a double room, twin room and single room. The disabled unit has a ‘wet’ shower room and separate cloakroom (no en-suite). Two of the 3 bedroomed apartments on the 1st floor can interconnect with a 1 bedroomed apartment to create an apartments sleeping up to 8 plus an infant. All apartments have fully fitted kitchens with oven, hob, microwave, refrigerator, wahing machine//tumble dryer, dishwasher, etc. All have a lounge/dining area with digital TV, bathroom with bath & shower. Each apartment has its own iron and ironing board, vacuum cleaner, hairdryer, radio alarm etc. Electricity/hotel water is included in the tariff. A communal courtyard is available for all guests. 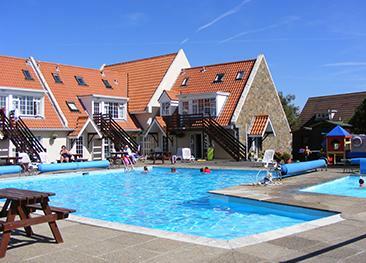 The indoor swimming pool is heated from May to September. There is an outdoor children’s play area and an indoor games room. There is a bus stop outside the property. 200 years from the apartments there is a butchers selling essential groceries, plus a delicatessen, off-licence and local pub/hotel. 10 minutes walk along the cost road is Cobo Village which includes a supermarket, post office, chemist, bank and garage. For those not wanting to cook during their holiday Guernsey offers a vast choice of places to eat, from excellent pub grub to luxury restuarants. There is one apartment on the ground floor specifically designed with disables access. 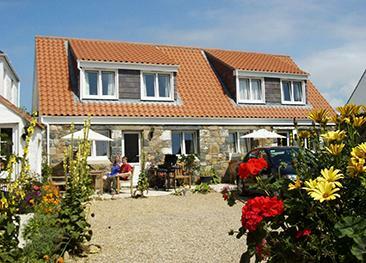 Mas des Sables Cottages are situated on the west coast of Guernsey. 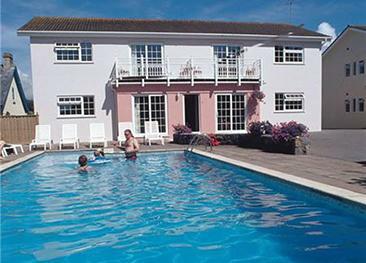 There is a selection of granite cottages, designed with comfortable and relaxing holidays in mind.